Dining room, lounge with a sofa with double bed, TV, Wi-Fi Internet, etc. Sleeps 7. 3 bedroom villa in residential area with private swimming pool. Living-room w/ double sofa bed. Satellite TV and Wi-Fi Internet. Garden with patio for outdoor dining, barbecue. Off street parking. 10 minutes walk to Praia da Oura sandy beach. 2 minutes walk to The Strip with bars, restaurants and shops. Ideal location to visit older part of Albufeira with narrow streets and handicrafts. 28km to Faro airport. Primitief sober huis geen lekkere ligbedden goedkope tuinstoelen versleten kussens. Deuren slaapkamer sloten niet. 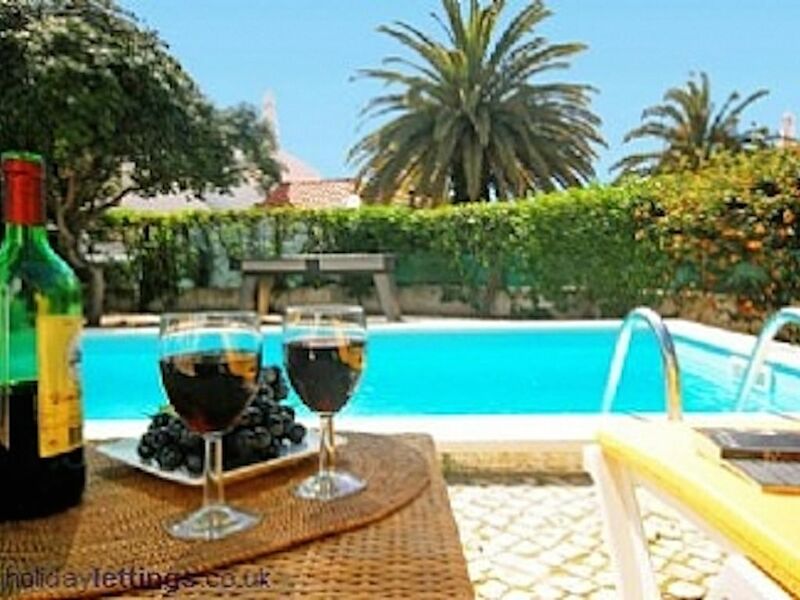 Villa Marucas is a centrally located villa, which makes it a good base to explore Praia da Oura itself and the surrounding area of Albufeira. The entrance hall leads to the living room, sliding patio doors at the living end gives access to the garden and private pool. It has a fitted kitchen with a hatchway linking the kitchen with the dining room. It has two twin bedrooms with a bathroom between the two. One shower room and another small bedroom with a single bed. It also has a barbecue. The front door of the villa opens onto a cul-de-sac that provides off-street parking. Located on a popular residential area close to the heart of one of the liveliest resorts, yet far enough away from the hustle and bustle. Praia da Oura derives its name from the beautiful sandy beach at the bottom of the hill. Another attraction is the Strip 2 minutes walk with its shops, restaurants and bars. The older part of Albufeira is ideal to get a taste of the past with narrow streets, handicraft etc.